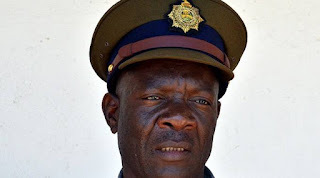 SOME Bulawayo residents who looted groceries from shops in last week’s riots have resorted to dumping them in bushes around the city as police investigations intensify. “We have recovered many items discarded in the bush especially in areas such as Entumbane, Ngozi Mine, Nketa and Nkulumane,” said Insp Ncube. “Sometimes people think they are so clever but the arm of the law catches up with them in due course. During some of our operations we found some suspects having dug pits and buried looted groceries and then planted imibhida/muriwo on top and started watering as if it’s a vegetable garden. They have been arrested,” said the police spokesperson. Some items were abandoned on the road side as police raids became more intense. “We are receiving tip offs from responsible citizens and that is the spirit that we want from everyone so that we can rid communities of rogue elements and criminals,” said Inspector Ncube. A Bulawayo resident said on Sunday, some people dumped some groceries including cases of sugar, rice, flour and soft drinks along Phekiwe Stream in Nketa 9 suburb. Mrs Irene Nleya, a vendor who sells vegetables in Nketa 9 suburb said she was shocked to find groceries in the stream.